Yesterday, I wrote a short piece (in German) about how Apple is dominating the Post-PC world. Come to think of it, I happen to reckon that Apple is not only dominating the Post-PC world, it's also the first major Post-Digital company (and may well also dominate the Post-Digital world). It’s about the new things that arise when digital is so ubiquitous as to be unremarkable. That's exactly the point with the iPad. 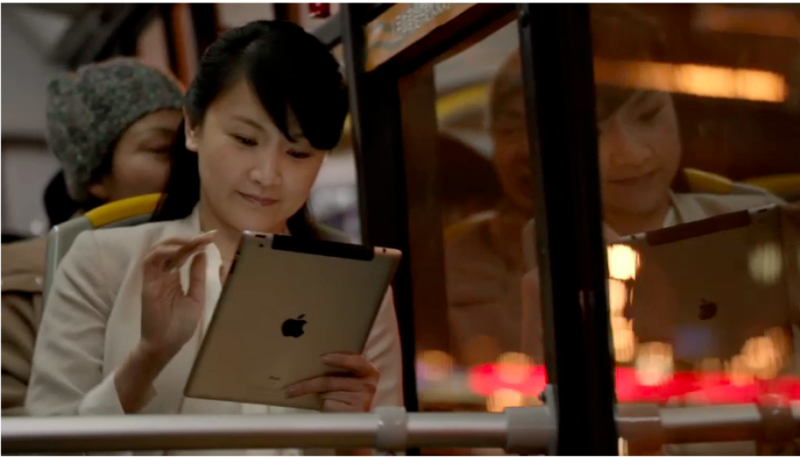 Apple strikes this chord themselves in their video for the new iPad. We believe technology is at its best when it's invisible. And that's what they have been working on over the last decade. The iPod was the first strike, making music ubiquitous and almost invisible at the same time. Compare today's music experience with the hassle of compact discs, and you know what I mean. Then came the iPhone, introducing a new paradigm for touch-based interfaces. Beginning with the iPhone, the keyboard started to disappear. At the time when Steve Jobs introduced the iPhone, people were already used to tiny keyboards on their Blackberrys. Today, we are used to virtual keyboards on touchscreens. And we are also used to the snappiness of Apple's touchscreens, making it sometimes hard to interact with older touchscreens on ticket machines. The iPad took this touchscreen paradigm one step further, making touchscreens the new default interface for computing in less than two years. The iPad (and also the iPhone, the iPod touch and iPod nano) are basically nothing more than screens. Almost everything else has already become invisible. This process of reduction started by the way with the first iMac as early as 1998, shortly after Steve Jobs had returned to Apple. What strikes me is that Apple's competitors still don't get the message: Consumers don't want ugly boxes on their desks or below them. They just want a screen, a keyboard and a mouse (though the mouse is obsolete and should be replaced by the trackpad soon). And to be honest, they don't even want that, but just do the things they want to do, without having to worry about technology.